Rally is a competition that was born in Europe, in Japan, has become popular in the last 30 years. 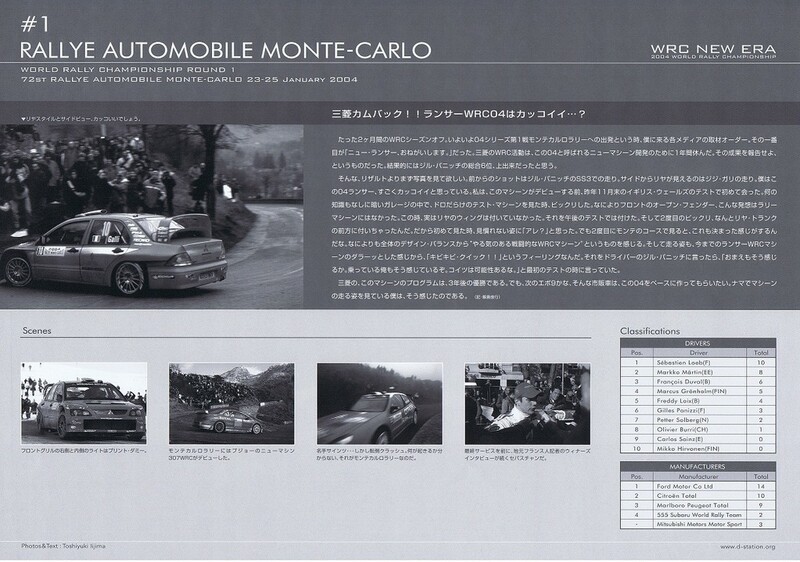 In its history, WRC was held in Japan in 2004, was also a memorable year. 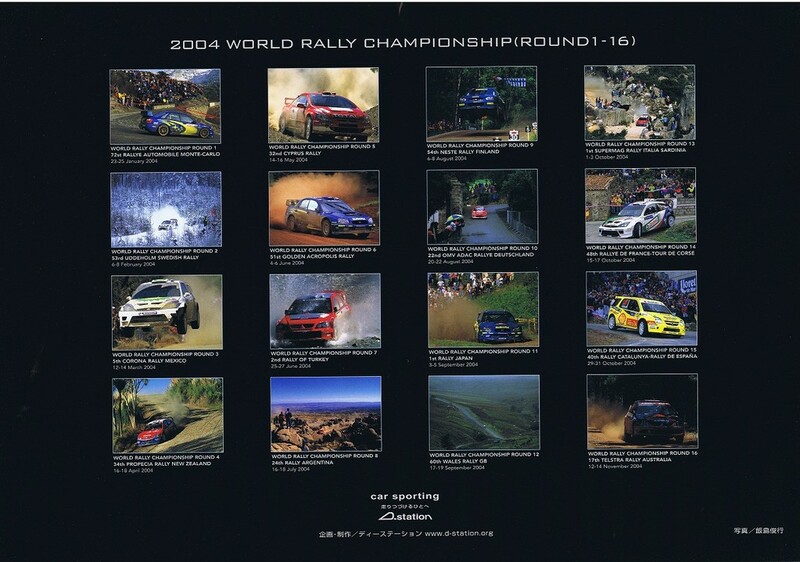 A3 size poster format of the war 16 "WRC NEW ERA" in 2004,Rally reports saved version that can be enjoyed. Rally journalist　Toshiyuki Ijima photos and reports.